There are 70 million of them in the U.S. alone. They are “digital natives,” who grew up with the Internet and are fluent in mobile technology and social media. They spend a whopping $600 billion annually – and growing. They are forecasted to account for 35% of spending by 2030. They are set to outnumber Baby Boomers next year and are the largest generation in the workforce. They take, on average, one selfie every day and account for 55% of selfies on social media. They are the deeply studied, oft-maligned Millennial generation. Pew Research has defined this group as those born from 1981-1996. Studies also show that they keep their mobile phone with them all the time (not more than 3 feet away) and they love their cameras. One survey found that 68% of Millennials would rather snap a picture than type something into their device. They have big ideas of how to use the smartphone camera to make transactions easier. Millennials are using smartphones daily to conduct their business, whether it’s shopping, making payments or banking. And in the sharing economy, they are using popular apps to use these services via their smartphone. Some reports show they are deciding to who to do business with based on their mobile capabilities. This should be a wake-up call for all industries wanting to tap into this influential demographic. Even the Olympics has adopted this technology for the 2020 Tokyo Olympic games utilizing facial recognition. Let’s look at banking for moment. An infographic from the American Bankers Association shows that banks that offer digital services are better positioned to reach Millennials. In fact, Millennials are three times more likely to open a new account with their phone vs. in person. Consumers commonly think that opening a bank account is a cumbersome process – so many forms to fill out and documentation to provide. But while banks collect more information then ever before and have more steps during onboarding due to regulatory compliance, they can provide a better digital experience to a generation used to signing up for new accounts via mobile devices. Millennials prefer taking a picture for data capture. More than half have deposited a check by taking a picture with their smartphone. They are optimistic that mobile capture will be part of all mobile transactions in the next five years. Whether that’s for banking, or a car rental service, or a visit to the doctor’s office, the ease of snapping a photo is vastly superior to filling out long, tedious forms. It’s not surprising then why so many users of Acuant’s AcuFill solution report they save time and impress customers with a streamlined and modern on-boarding process. Beyond mobile capture, Millennials also prefer to validate and verify their identities via facial recognition. The introduction of the iPhone X and its facial recognition technology became the first real mainstream use of this concept. Acuant’s FRM (Facial Recognition Match) technology can make this an option for just about any online transaction. The process can be as easy as taking a selfie and knowing in seconds whether there is a match, or the transaction should be flagged for fraud. One common form of facial recognition fraud is using a photo to assume someone else’s identity – a face spoof attack. Acuant FRM uses a liveness test to prevent this and ensure that it’s a live person taking that selfie. This type of verification can be useful in two scenarios – when you want to be sure that the ID is valid and that the person matches the photo on the ID, and when you already know this customer and only need to know that this person is actually the person who holds the account. 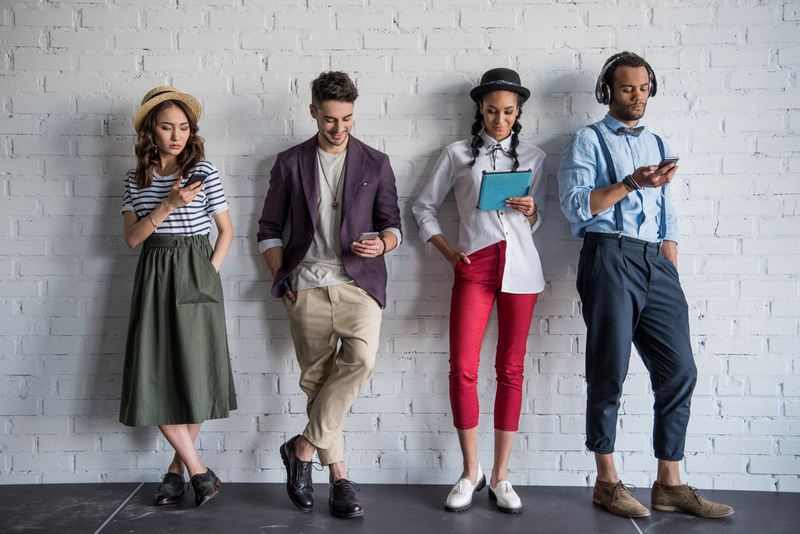 When appealing to and engaging Millennials, it is important for businesses to provide a seamless, modern experience that meets their digital expectations. At the same time, that user experience must be balanced against risk – and how much risk you are willing to accept.